NZ’s three wise monkeys of the media remain blind, deaf and dumb! They see no evil, hear no evil, speak no evil. First: NZ government (police and Ministry of Transport Resurrection) under-report road fatalities [and murders] in the same way Puerto Rican officials (US Govt) misled the world following Hurricane Maria. Death toll from the deadly storm was reported as only 64, instead of the scientifically researched total of at least 2,975. But it doesn’t end there! The Ministry of Transport routinely resurrects the road fatality victims, statistically, to reduce the death toll. Only 69 killed: MoT road fatality data for March 11, 2019. Then one victim was resurrected the next day! Only 68 killed: MoT road fatality data for March 12, 2019. Note: one “lucky” pedestrian was resurrected since the previous day. NZ Police Watch: Censorship breaking all time records! NZ police are seriously manipulating the outcome of road crashes [the tiny fraction that’s publicly reported.] 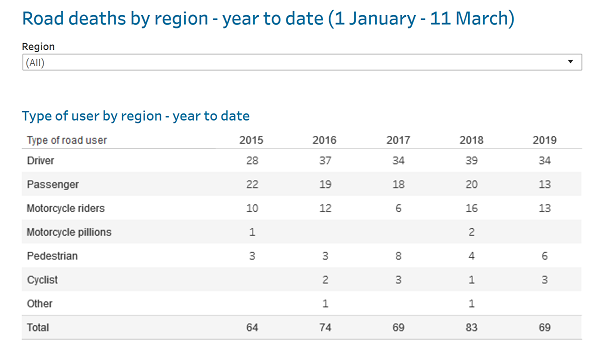 Since January 2019, about 9 out of every 10 collisions including fatal crashes have been reported as “serious/critical injuries” with no updates made available in majority of incidents. Go figure, as our American cousins would say!